For the uninitiated, cloud computing is basically computing over a remote network of servers in one location securely accessed by various signed up individuals and organisations. The data held on these networks are securely held and are able to be accessed by various people working on the same project. In a nutshell, it is like a global hard drive. Rather than having to carry USB sticks and email documents across time zones and locations, all the people working on a particular project can have 24/7 access to the various bits of data from different contributors going into that project. Initially, this all might seem very disruptive to the print industry. 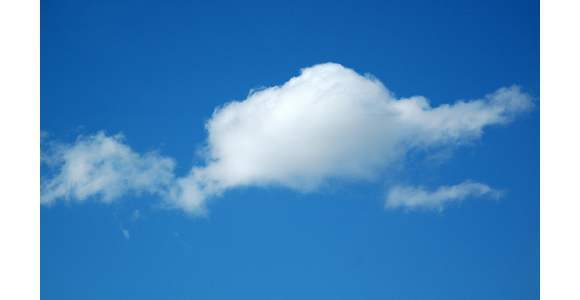 However, cloud computing poses a number of benefits and companies in the field of print are learning to adapt. Firstly, it is speeding up the production process through real time collaboration. Collaborators no longer have to send designs back and forth but share information over the cloud, making changes as and when necessary. Secondly, it allows companies in the industry to improve their offering to their customers and clients. For example, products can now be tailored to meet specific low number orders as cloud computing reduces the cost of producing print goods (see below) while increasing the speed of production through real time collaboration. There is a cost efficiency benefit also. Products can be printed on demand and thus the supply chain is rapidly improved. For multinational organisations this means they do not have to wait for days for products to be shipped from overseas and there is less administrative work involved as receipts and such are eliminated. Also, as the printing is on demand this reduces wastage, so therefore not only does it save money but it is more sustainable as far as the environment is concerned. As sending images for printing via email can reduce the quality of the original design, quality can be improved through cloud printing. The most popular format for sending images via email is JPEG (Joint Photographic Experts Group) as it can transfer large amounts of content in small files. But in order to do this it compresses the images thus causing a noticeable fuzziness when looked at closely. Though it is possible to reduce this upon opening the file it is time consuming. Thankfully, cloud printing eliminates this problem allowing printing companies to provide a more highly polished product and giving value for money to clients. Cloud computing is also creating greater mobility for people. A growing number of workers are accessing email and data via their mobile phones. In the past, to print something they would have to log on to a laptop or desktop connected to a printer. Now they can connect their mobile devices to the cloud which in turn will be connected to a network of printers within reasonable reach. Leading the way in this innovation is HP with their ePrint Enterprise offering which works exclusively with BlackBerry. A similar service is offered (in the United States only) from Fed Ex. Other companies leading the way in cloud printing include Hubcast and Caslon. The latter is aiming to work with large MNC’s such as Proctor and Gamble to simplify and improve the printing of their packaging materials through the many benefits mentioned above. The former has recently worked with HP to deliver mobile printing solutions for employees of various organisations across 135 markets. Cloud computing is a fast evolving technology and undoubtedly there will be many more advances to come which impact the printing industry, both in terms of the design of print materials and the actual printing of them. At the moment the technology is making it easier for both of these services to be delivered with great efficiency to clients and customers. It is hoped the advances in technology will add further benefit; however it will be wise to expect major challenges with the progress of technology. About the author – Ben Chance is a technical analyst at Print Express online printing; specialists in business documents, exhibition stands, business cards, postcards and a wide range of other printing services.